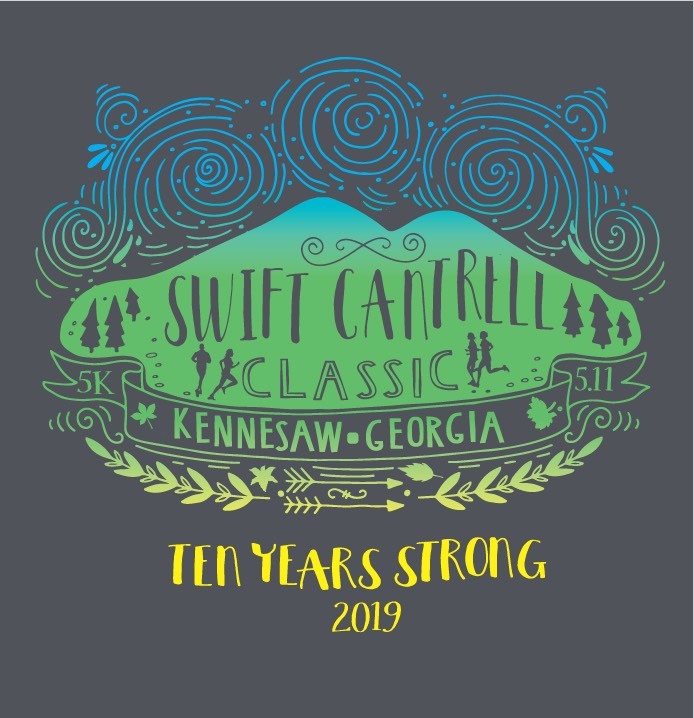 2019 marks the 10th anniversary of the Swift-Cantrell Classic 5k. Throughout the past decade, the number of entrants in the Swift-Cantrell Classic has tripled to over 1,200 runners. Your support has propelled the SCC from a modest little 5k to one of the premier races in the Kennesaw Grand Prix Series. All of that increased participation has helped The Swift-Cantrell Park Foundation to do great work within the park. Past races have raised money for shade structures in the playground and skatepark as well as make a major contribution to the construction of the Splash Pad. The money raised in this year’s race will go towards a large, inclusive playground that allows children of diverse abilities to play together. So, celebrate our 10 year anniversary while raising money for a wonderful cause. Registration is now open for the kick-off race of the Kennesaw Grand Prix Series. The Swift-Cantrell Classic, a benefit 5k hosted by the Swift-Cantrell Park Foundation, will be held on Saturday, May 11th, 2019. The race begins at Kennesaw First Baptist Church, winds through Swift-Cantrell Park, and finishes in historic downtown Kennesaw. The fast and flat race is professionally timed and serves as a qualifier for the Peachtree Road Race (GA1103OWC). To register for the Swift-Cantrell Classic, click here.